Today we broke all records and were in Preston by 3:30 this afternoon, although it took a little longer to find the university accommodation because we’d been moved to another site at the last minute. The speed today was mostly down to careful planning of the route through what is quite a built up area by the Tour leaders Mark and Stuart (seen below studying the map). 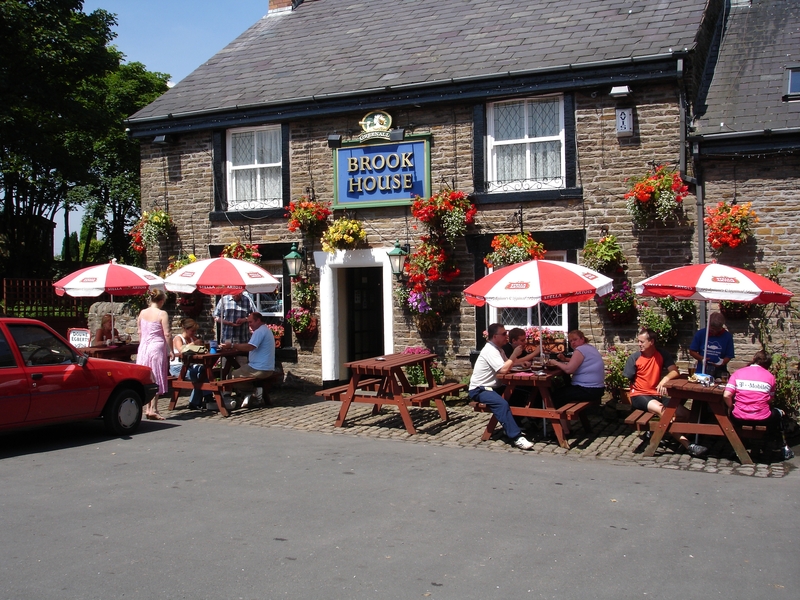 We had another good lunchstop today at a pub called Brook House where the landlady made a generous donation and insisted on taking our collection tin round her customers and brow beating them into supporting us. From what I’ve seen so far Preston isn’t the prettiest place in the country but it has at least one redeeming feature – the beer’s cheap! £1.60 for a pint. 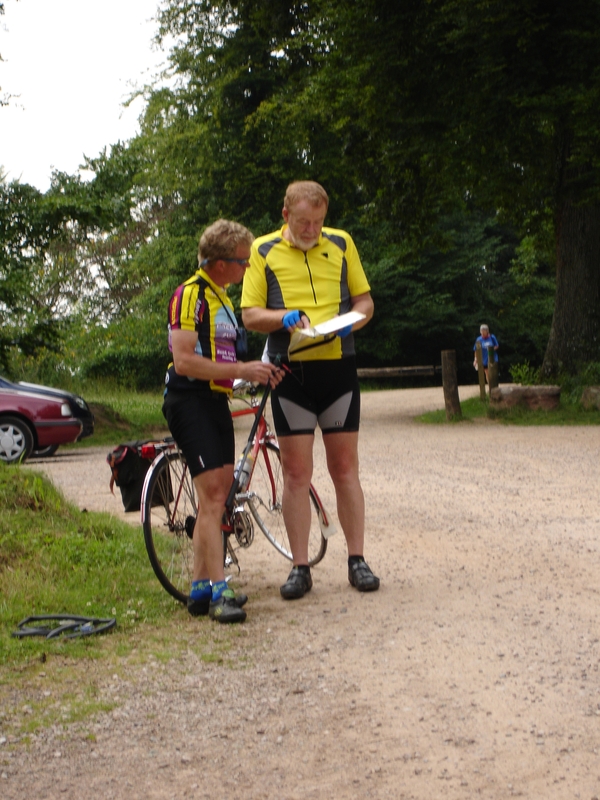 The pic of Mark and Stewart was actually taken at Symonds Yat and kind of explains why I’ve not been showing plots of the route since Bristol. Up till then, any straying from the route sheets tended to be down to mistakes or ‘no through’ routes, from there onwards we started going over the next day’s route to see if it could be made less hilly without having to use the busiest roads. Consequently, trying to figure out the route we actually took, ten years later, is proving time consuming if not impossible!